Colin Fischer never goes anywhere without his notebook. Within the spiral-bound pages is his guide to understanding the world around him. 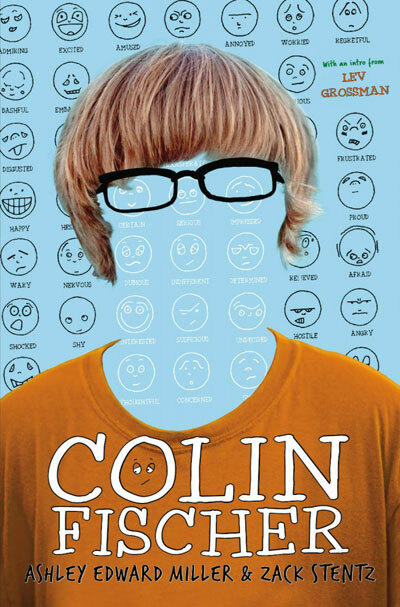 Colin has Asperger's Syndrome, a degree of autism which presents with some ability to function and socially interact with others. Still, he has trouble understanding figures of speech, rhetorical questions, and metaphorical statements. He also can't detect others' emotions by looking at their facial expressions. Needless to say, Colin's first year in high school is going to be a bit more challenging than it is for most students. The classes will be no sweat, but the cliques and social structure of teenagers is a mystery to Colin. We are tasked with absorbing tremendous amounts of information, statistics, facts, and it's a challenge to just sort this data, let alone use the data in any meaningful way. 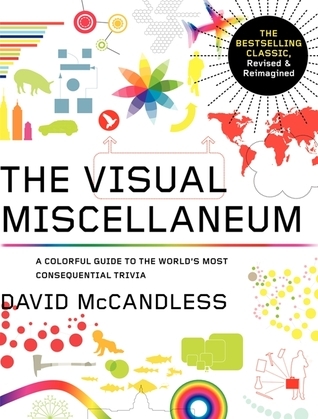 With this in mind, David McCandless set out to create functional and beautiful graphics to help us sort through the deluge and to show us that information is not only useful, but it can be beautiful as well. I've been meaning to pick this book up for ages, ever since I had one of those NPR driveway moments when I caught an interview with McCandless. I tend towards the list and chart of the Excel variety myself, so I was eager to get a look at what something with actual design sensibilities could do. I have to admit that my teacher senses were working overtime when I saw this book -- it would be such a cool way to introduce evaluating data to a composition class -- McCandless presents most of the information without comment, but really, it's just a darn cool book. You can sample some of the graphics from the book's website Information is Beautiful. My favorite graphics in the book are health related. You should definitely check out the graphic about the odds on what will kill you -- trot out to a nervous seat mate on your next flight that the odds they will die in a plane crash is practically nothing, while the odds that they will die from heart disease is 1 in 3 -- and hope that the pilot isn't up for that 1 in 3. Well, maybe you are not a jerk and won't mention that bit about the pilot. To give you a sample, here is a chart of Twentieth Century Death (my new band name, btw). It shows you how many people have died from selected major causes. Lest you think it's all doom and gloom, there are also graphics about the lamest Wikipedia edit wars or the peak break-up times on Facebook. Whatever disease you chose, there's a good chance the pathogen that causes it originated in an animal and then jumped to humans. "This form of interspecies leap is common, not rare; about 60 percent of all human infectious diseases currently known either cross routinely or have recently crossed between other animals and us," writes David Quammen. Such pathogens are known as zoonoses, and the moment when a pathogen jumps from one species to another is called spillover. In Spillover: Animal Infections and the Next Human Pandemic, Quammen investigates a handful of zoonoses and how they spilled over, traveling all over the world and going into the field to speak to doctors, scientists, and survivors. In my head and on paper, I should love PKD. For some reason, though, I haven't been able to get into him. I don't know why-- he's everywhere. 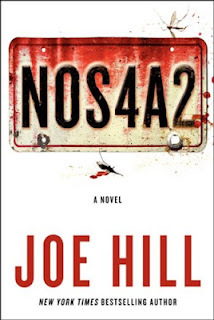 Not only are there umpteen movie adaptations of his works, but so much of today's SF and speculative fiction begs borrows and steals from his work. But then I came across The Broken Bubble, one of his posthumously published "non-SF" novels of the 50's, and that's how I discovered the strength, wit, and verve of the 20th Century's most admired and known "unknown" authors. 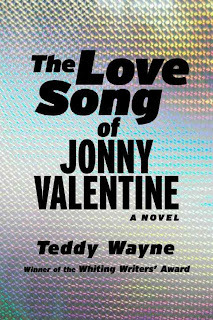 Jonny Valentine, the not quite 12-year-old narrator of Teddy Wayne’s The Love Song of Jonny Valentine (Free Press), worries he may have already peaked, before puberty has even started. 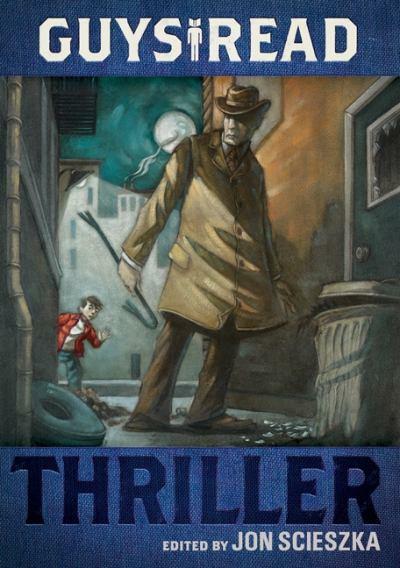 Guys Read: Thriller is a mixed bag. Ten stories, by ten different writers. "Thrillers," supposedly, but... well, some of the stories, I really liked. But others just left me flat. Other ships came... Sometimes they would drop barrels into the water, barrels mostly sealed, but some of them leaked a fluid that turned the water dark. Some of the fish off the shore began to die. They would float onto the beach, their bodies white and shining... until the tide left them to rot and for the gulls to eat. Then the gulls began to die. Obe Bashir Hari, my uncle, said that what we must do was plain for all the world to see. We have to fight back or watch our families starve," he said. "They want to pretend that they don't see us, but we must insist upon being seen." This was what he said to my cousin and my father when he first became a pirate. When my father asked if I would go with them, my uncle looked at me and felt my arm. "Yes," he said. "The boy is old enough to fight. He should go..."
This was my second trip. The first trip we got nothing because an American navy boat came up on us as we neared our target and we had to turn away. Our boat... was called Raqq al-Habib, after a song the owner liked. If we were successful we would paint it over and change the name before going out again. Our families came to the beach with us and kissed us many times before leaving. Then the guns were handed out and packages of cooked rice and spicy lamb. When I was handed a gun, my heart pounded in my chest. I told myself to look calm and I tried to think calm thoughts, but I knew I was close to shaking, I was so afraid. The men kissed Mussa on both cheeks and embraced us all. "It's good to see young warriors." A man with a small stubble of a beard touched my head. The Habib was a very special boat. It had a false tiller mounted on the back that had no real use and a wheel in the cabin. My uncle said that the tiller made it look like a slow boat but the twin screws would let it fly across the water. I had a band of ammunition that was slung across one shoulder and that came down past my waist to my hip. My uncle showed me how to release the safety of the AK-47. "You will know who the enemy is and where to point the gun when the time comes," he said. His voice was higher than it was in the marketplace or when he sang at home. It was high and wavered and I knew that somewhere inside of him there was also fear. I said a small prayer to God and told him that I did not want to die, knowing that if he could read my heart he already understood this. There were seven of us altogether, and I imagined seven prayers drifting to heaven. 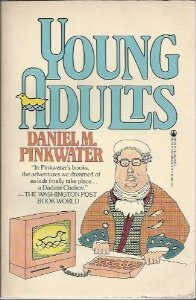 In 1982 Daniel Pinkwater wrote Young Adults as a send-up of the Young Adult novels of the time. I discovered it a few years later and wasn't as familiar with the tropes he was poking fun at, though I did find it, on the whole, a humorous gloss on the trials and tribulations of teen life. This summer my summer reading goals include going back and looking at a number of books that were key to either giving me back the joy of reading or the inspiration to become a writer; Young Adults gave me a good dose of joy and inspiration and I recently dug out my yellowing copy and read it for the first time in decades (honestly). The dang thing not only holds up, but it does a pretty fair job skewering the Young Adult genre today in the process. 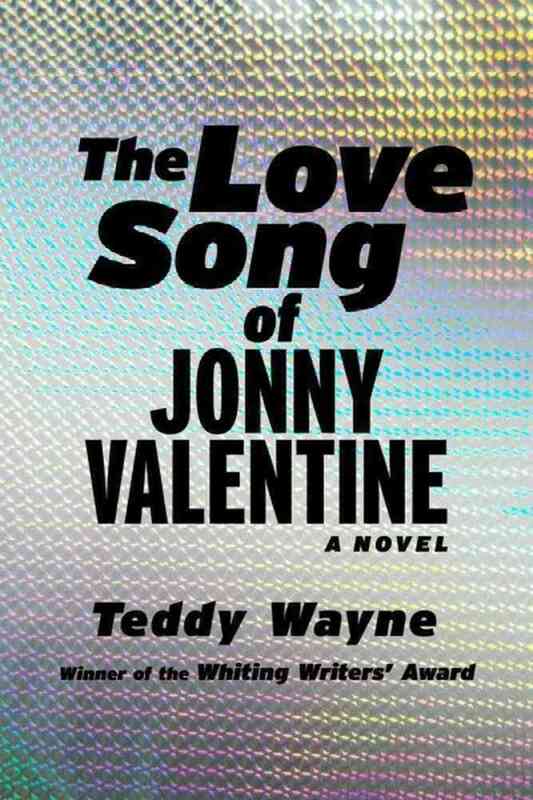 Narrated by Charles the Cat (a vacuum cleaner - just go with it for a moment) "Young Adult Novel," the lead-off story, introduces a band of misfits who have dedicated themselves to being the living embodiment of the Dadaist art movement, the absurdist progenitor to Surrealism. The Wild Dada Ducks, as they call themselves, dedicate their non-school energies to infusing their boring school with acts of Dadaist pointlessness. Among their personal works is the creation of a long running story of Kevin Shapiro, Boy Orphan, who experiences all the trauma of a typical "trouble novel" typical of early YA novels. One day the Wild Dada Ducks are flummoxed to learn that there's a real person at Himmler High School named Kevin Shapiro, a kid seemingly cast in the most stereotypical of nerd molds, who they take on as his protector and champion. But quickly thing take a wrong and unintentional turn when their Dadaist acts turn the real Kevin Shapiro into the king of the school, leaving the Wild Dada Ducks vulnerable and hated, the ultimate outsiders. First off, sorry this is late in the day. I wasn't stuck in a storm on Mt. Everest, so it's not like I even have a great excuse. Mea culpa. The book Into Thin Air has the following subtitle: "A Personal Account of the Mount Everest Disaster" - an event that took place during climbing season in 1996, during which a rogue snow storm swept through while people were trying to summit the mountain. In all, nine climbers were killed, while others were temporarily stranded. Rob Hall, one of the experienced commercial guides leading a group up the mountain, is quoted early on as saying "With enough determination, any bloody idiot can get up this hill. The trick is to get back down alive." Rob didn't make it back this time. “So it is.” This brief phrase, a refrain reminiscent of “So it goes” from Vonnegut’s Slaughterhouse-Five, echoes throughout Marcus Sedgwick’s Midwinterblood. It echoes across decades and centuries, across the seasons of the sun and moon, across the waters from the mystical island of Blessed. Midwinterblood contains multitudes, seven stories for seven lives. Or, rather, seven stories for two lives. Confused? You may be early on in Sedgwick's latest inventive tale, but as he moves us from the future through the past, we see the sacrifices that link these stories, and these lives. I’m a scaredy-cat. Case in point: when I was a child (never mind how old), I went with my parents to the movies. Before the main attraction, there was a trailer for a film that traumatized me so much that I still freak out at the thought of it. And I’m a grown man now. So suffice to say that I don’t do scary movies. Often people promoting triathlon participation will cite the health benefits. It strengthens your heart, they say. It makes you lose weight. It gives you energy, improves your sleep, aligns your skeletal frame. Those things are all true. And they are good reasons to consider doing a triathlon. Especially if you need to lose weight. Or are low on energy, or have a mal-aligned frame. But I think there are deeper more important, more philosophical (ok, self-helpy) reasons for doing a triathlon. I'm talking Triathlon as Metaphor for Life. I'm saying training for three sports can teach you how to live.